Standing near the narrowest point between Africa and the Iberian peninsula is Djebel-al-Tarik, a mountain named after a Berber general. He led a mixed Arab and Berber army that helped establish a spectacular civilization whose remains still fascinate today. Tarik’s Rock is better known as Gibraltar. The Arabs brought with them a developed way of life that included the use of coffee, chess, Algebra, silks, carpets , perfumes and maybe most importantly, advanced irrigation methods, vital for a dry sun-burnt land. There was much more , including those strong pointed arches that feature in their landmark structures still seen in major Andalusian cities. 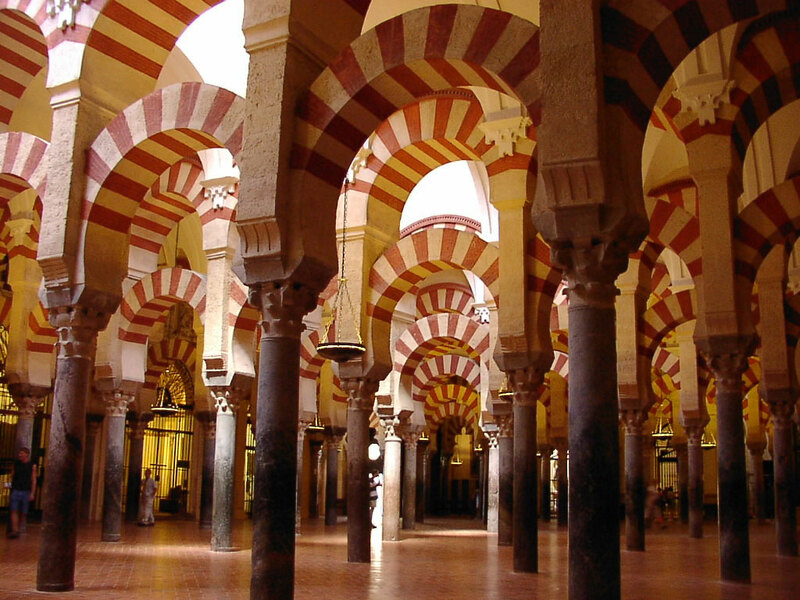 At Cordoba, the Mezquita or Great Mosque, into which a catholic altar was inserted after the Reconquest, has one of the most remarkable architectural interiors in Europe, a “forest”of stone arches that is a treasure in itself. A 320 ft (98m) former minaret is today the tower of Seville cathedral. The Giralda, as it is known, towers like a marker by the tomb of Columbus inside the church. 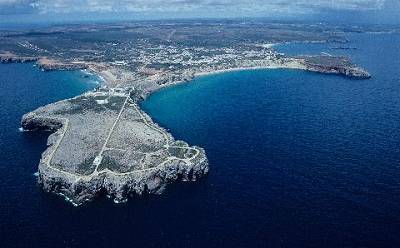 South of the mountains , the coast gradually curves until it reaches what was considered the end of the occidental world, Al-Gharb or “The West”, now the Algarve. The furthest point is at Cape St Vincent and the dramatic setting of the Sagres peninsula, 200ft/60m above the Atlantic Ocean, whose enormous panoramic seascape truly deserves the description of “a balcony open to infinity”. It was here that the enigmatic fifteenth century Prince Henry (known as “the Navigator”), Grand Master of a knightly religious order, an ascetic usually portrayed in black, established a naval research center which introduced navigation by the stars. For 40 years, Henry gathered astronomers, cartographers, seamen, traders and adventurers keen to discover new trade routes to India and the riches in the spice trade. Still surviving today is the great wind-rose (32 segments, 135ft/43 m in diameter), a huge compass-chart laid out on the ground to record th strength and directions of prevailing winds.From this research centre ships were to sail to West Africa, Angola, Guinea, then round the Cape of Good Hope to Mozambique and towards Goa,Macao and on to Jakarta and Japan. Historian William Manchester noted eloquently that in just one generation, a few hundred small ships “discovered more of the world than had all mankind in all the millennia since the beginning of time”. Still today, that magnificent coastline is a magnet and a challenge. Surfers come, some regularly from the coastline – even from as far away as Cadiz, and even others from California, Hawaii and everywhere around the world, because Sagres is the most consistent point, a westernmost point, where currents meet and the waves are good. Sentiments that world surfers have expressed many times in their search for the highest wave, often in the fiercest storms. Among those is self-proclaimed “psycho”(“I got to be a little crazy”) Hawaiian veteran from Oahu, Garrett McNamara, a daredevil surfer who has been on the highest waves ever surfed, claims some of his favorite beaches are on the western side of the Vila do Bispo area near Sagres but sees the Ericeira/Nazaré region, north of Lisbon, as a Mecca of European surfing. 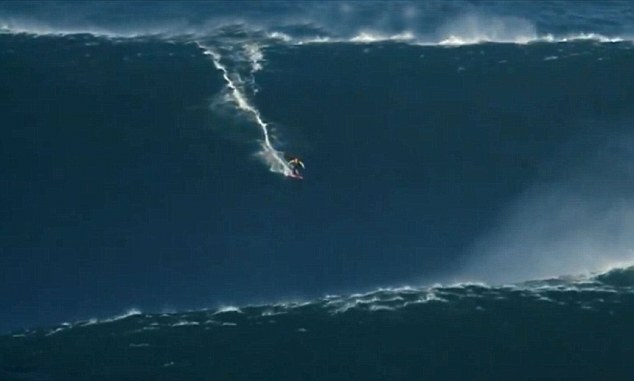 His 78ft/23.77 m wave, recorded at Nazaréin November 2011 is still the official accepted world record although his training companion Andrew Cotton as well as Brazilian Carlos Burle have also been seen on the 100ft “killer”waves of the Praia do Norte at Nazaré Canyon, geologically deeper and longer than the Grand Canyon, USA (see the fantastic Carlos ride of of Oct 28th 2013).